Dave leads the Buy Path Product Management team at homedepot.com. Dave’s team is responsible for the customer experiences on Product Detail Pages, Pricing & Promotions, Fulfillment & Availability, Checkout, and My Account. The team relies on customer feedback and big data to strategize and execute new features and functions for our customers. 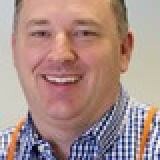 Prior to Home Depot, Dave served as a Product Manager for Sears Holdings in Chicago, IL. His digital career started at Hart Schaffner Marx where he developed the organizations first B2B website. Retailers are trying to identify ways to blur the lines between sales channels for consumers, by integrating digital initiatives into the in-store experience. In this interactive session, our heads of e-commerce discuss how to help customers find the products they are looking for, no matter the sales channel, and how to blur the lines between digital and in-store. • Assist the customer in the store, using digital technologies? Using smart phones or tablets?